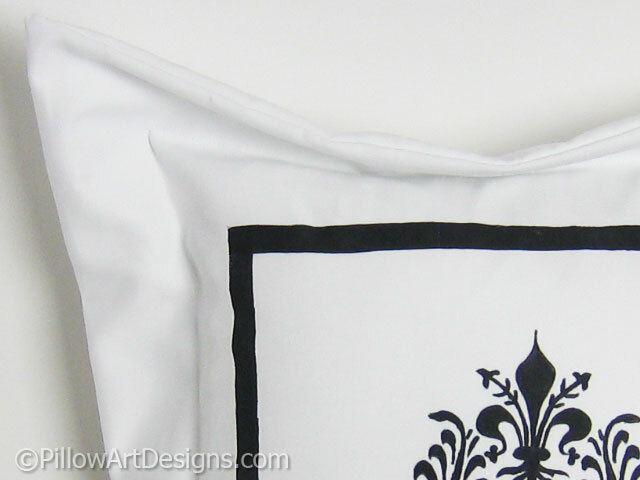 This elegant but simple french provincial decorative pillow features a hand painted fleur de lis centered on the face of this crisp white cotton twill pillow cover. 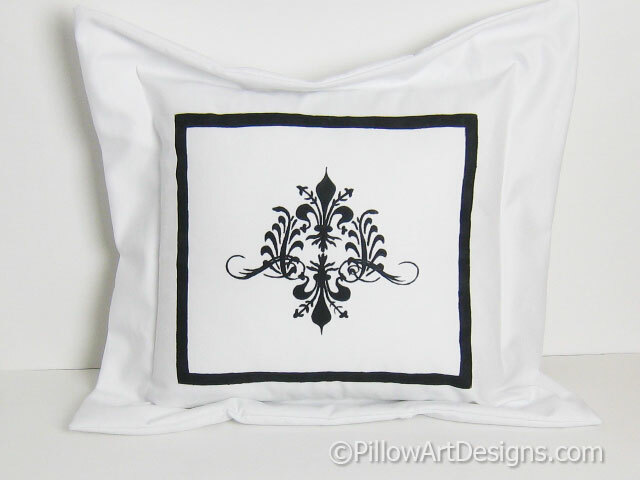 The damask design is surrounded by a simple black frame. 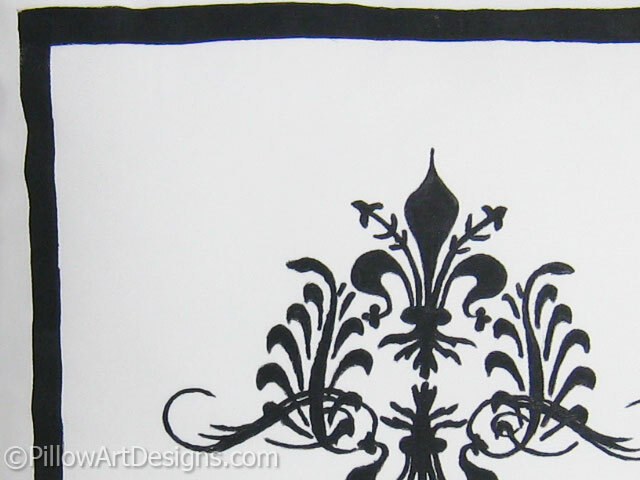 Design and frame are both painted in sharp black. Flanged edge 2 inches / 5 cm. 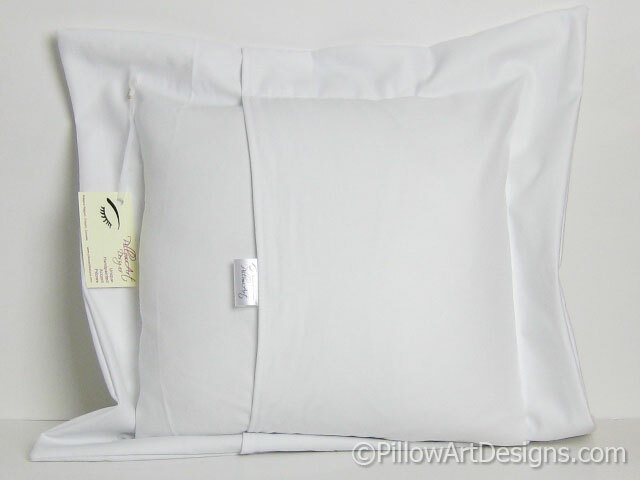 The cover is sized to fit a 16 inch / 40.6 cm pillow insert (not included). Like this cover but need a different colour? 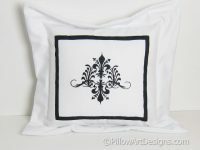 Contact me here for a custom order.